Improved Initiative: Jesus Wept, You Can Now Buy Your Own Lament Configuration! Jesus Wept, You Can Now Buy Your Own Lament Configuration! With Halloween still a recent memory some of us are experiencing the urge to bring some real horror to tabletop games. Whether you're running Call of Cthulhu, Dungeons and Dragons, Savage Worlds, Pathfinder, or another game entirely though, there is something you need to be made aware of. You can buy your own Lament Configuration. It has such sights to show you. For those of you who don't know what this is, the Lament Configuration is the puzzle box used in the horror classic Hellraiser to summon the alien Cenobites; creatures of extreme sensation for whom pain and pleasure are indecipherable. It's a staple of horror and now there's a way for you to get one short of sneaking onto the set of the remake and stealing one for your very own. 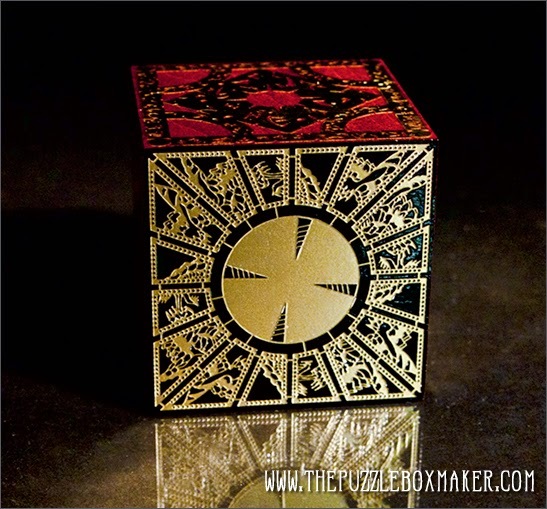 All you have to do is go to the website for The Puzzle Box Maker (since that's not ominous at all) and place your order. Seriously, take a look at the details here. Thanks for stopping by, and if you'd like to help support Improved Initiative then drop by my Patreon page and become a patron today! If you don't want to miss updates like this one then either plug your email into the box on the right hand side of the screen, or follow me on Facebook and Tumblr!